A case where a person or party takes action against another person or group that is not related to criminal, military, or religious affairs. Have you received a summons? Do you have a complaint you would like to file? If you would like to file a lawsuit, you would serve as the plaintiff. As your lawyer, I will file a complaint for you that is a formal notice to the possibly guilty party that a lawsuit is being brought about. Did you just receive a summons? What in the world is this? A summons is a notice that directs the defendant to appear in court on a certain date at a certain time to answer a complaint. If you received a summons, you are the defendant, or the person who is being accused of wrongdoing. In the pleadings, the complaint and the answer are combined into one civil case. Both the plaintiff and the defendant gather evidence to help their cases and they then exchange pleadings in response to the accusation. 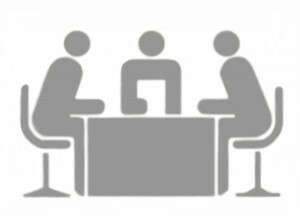 A third party can help the plaintiff and the defendant to reach an agreement without going to court. A third party will listen to the plaintiff and the defendant and acts like a judge. The third party reviews the case and makes a final decision that is binding for both parties, all without going to court. If the judge believes that the case may go to court, the judge may call for a pretrial conference. In a pretrial conference, both parties meet to help clarify differences and prepare of the trial. 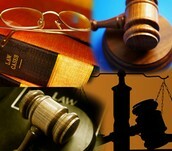 At the trial, there is usually a jury of six to twelve people or a judge that hears the case alone. The plaintiff is the first to present its side and after that, the defendant presents. The plaintiff needs to meet a preponderance of evidence to win a civil action, therefore convincing the judge or jury that they carried the burden of the case. After both sides have presented, the plaintiff and the defendant summarize their cases. 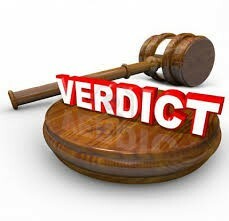 Finally, the judge or jury decides the case and makes their verdict. Once the jury has made a decision, the verdict has been made. The defendant may be charged with some sort of punitive or compensatory damage if they lose the case. Also, if either party believes that a wrongdoing occurred in the decision of the case, either party may appeal to a higher court to have their case reexamined. We will help you through every step of the way!